F ed up with hearing women ask, “is it okay for someone my age to wear this?”, Dawn and Emile Cutler came to us with the idea for The Posh Rock blog. The premise was to take a fresh approach to fashion for women over 40, and encourage readers to forget what is ‘age appropriate’ and dress how they want. 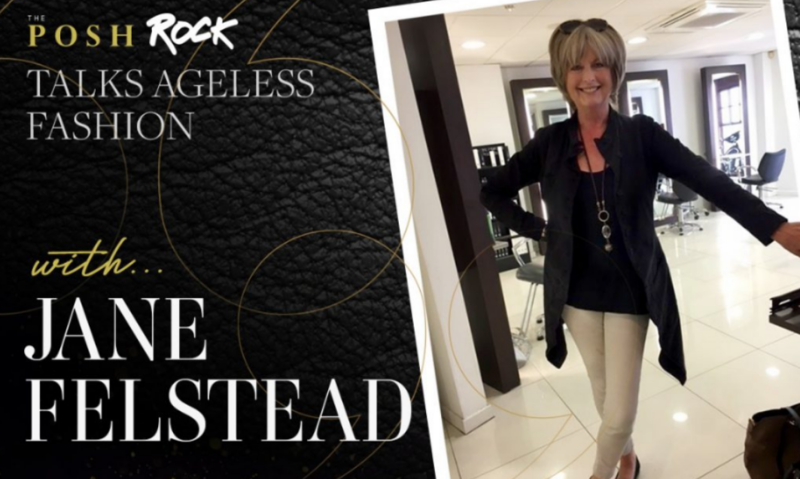 We loved their ‘Fashion is Ageless’ mantra and the concept of Dawn, a 52-year-old fashionista, and daughter, fashion student Emilie, swapping fashion advice and encouraging women to be braver in their fashion choices. Dawn and Emilie had the passion to get their message across and we jumped at the chance to make their dream possible. It was an opportunity, not only to establish their brand, but to help build a business that could provide a unique voice within the fashion sector. We achieved this through branding, content, social media and PR. 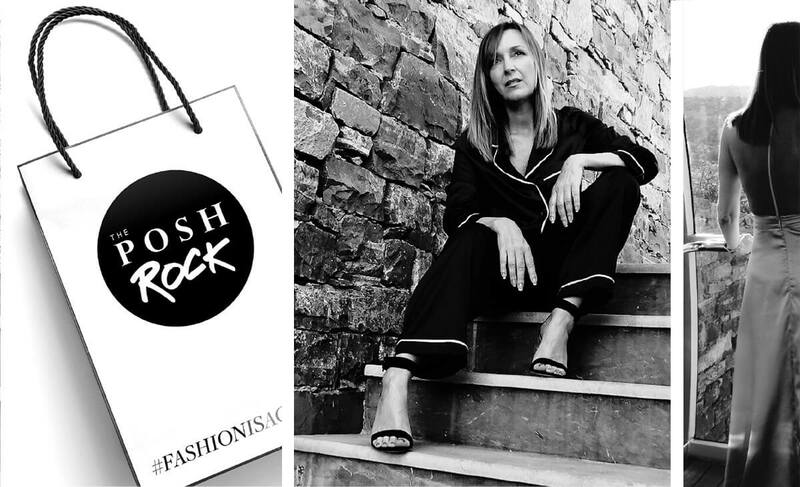 Posh Rock needed to quickly establish a brand that would engage with women in their 40-60’s, yet still appeal to women of any age. To set off on the right foot, we conducted a marketing strategy workshop to clarify the brand’s values, key messages and define the blog’s inspirational tone of voice. Using this in combination with research into the market, it was clear the blog needed to include high quality imagery and content to compete in the 40-60’s fashion sector. We challenged our designers to use bold images and create a stunning blog that would achieve multiple goals: attract people to engage with the blog, help us target our audience via social media and PR channels, and create the potential to partner with businesses and monetise the blog in the future. Content – With a clear brand identity, it was then easier to broaden the scope of the blog to include subjects such as beauty and travel categories. This allowed us to create a greater variety of content, but also helped us reach a wider range of industry names for product reviews and collaborations. The ability to work with high-profile brands, including Nivea, Skinny Tan and Freya, enabled us to establish brand credibility. Social Media – We used the positive messaging developed for The Posh Rock to connect with the target audience on social channels. By creating and promoting posts on Facebook and Instagram we were able to grow a core following. Securing celebrity endorsements from the likes of Jane Felstead, AKA Mummy Felstead from Made in Chelsea, also helped boost engagement. “I’ve always believed that women should be able to dress how they want at any age, and now I feel like we have a platform to get that message across and be taken seriously,’’ said Dawn Cutler, founder of The Posh Rock. “Fourth Day has put The Posh Rock where it needs to be and given us a strong voice in the fashion industry." Web traffic – The Posh Rock went from zero to fashion hero within six months of the launch – with the blog now approaching up to 4000 page views per month. This included receiving 1,266 new visitors on a single day, after we gained coverage for the blog in the Daily Mail. Social media conversations – By promoting media coverage on social channels and publishing blogs to attract brand attention, we’ve also secured invaluable mentions and retweets from big high street names including Skinny Tan, Sole and W7 cosmetics. The Posh Rock has also been asked to provide an expert review on items from Nivea, Jamberry, CLIF and Freya. These posts reached more than 64,000 people on Facebook alone, created 2,400 reactions and brought an additional 2,200 fashion fans directly to the Posh Rock blog. PR success – We were able raise the blog’s profile among the media, delivering several high profile pieces of coverage in publications such as the Huffington Post and the Daily Mail. Spin–off articles also appeared in fashion titles across Europe helping to increase blog traffic further during subsequent weeks. The Posh Rock quickly became established as a go-to contributor for the mainstream press and branded products when they wanted to talk about age and beauty. Is It Okay To Wear The Same Outfit As My 20-Year-Old Daughter?